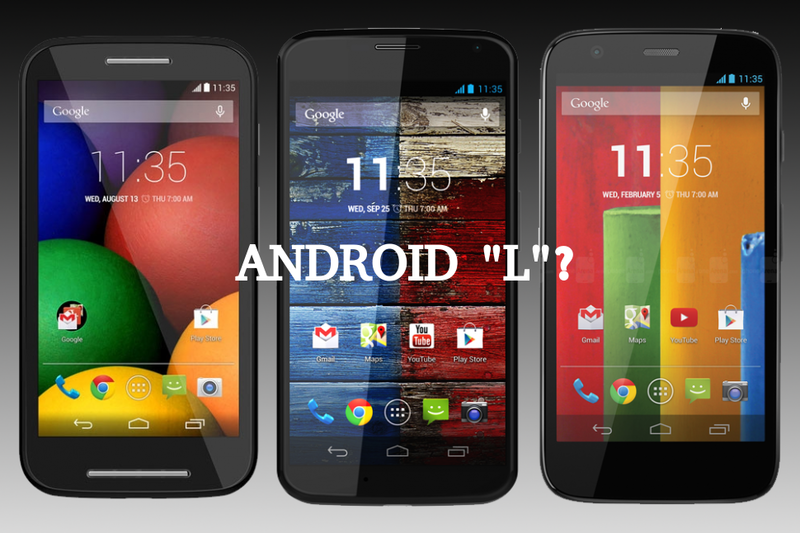 Since Google announced Android “L” at Google I/O everyone has been wondering which phones will get it and which won’t. Some OEMs have released official statements regarding this, while vast majority of them has not. Motorola belongs in the latter category. About a week ago Motorola Germany released a statement via Facebook that Moto X and G devices will get Android “L” update this fall. However, Motorola released an official statement shortly after letting us know that the mentioned Facebook page is not Motorola’s official page, which left Moto fans somewhat disappointed. Though we were quite certain Motorola will update both at least Moto X to Android “L” even before this, now we have some sort of information that it will update both of those devices. 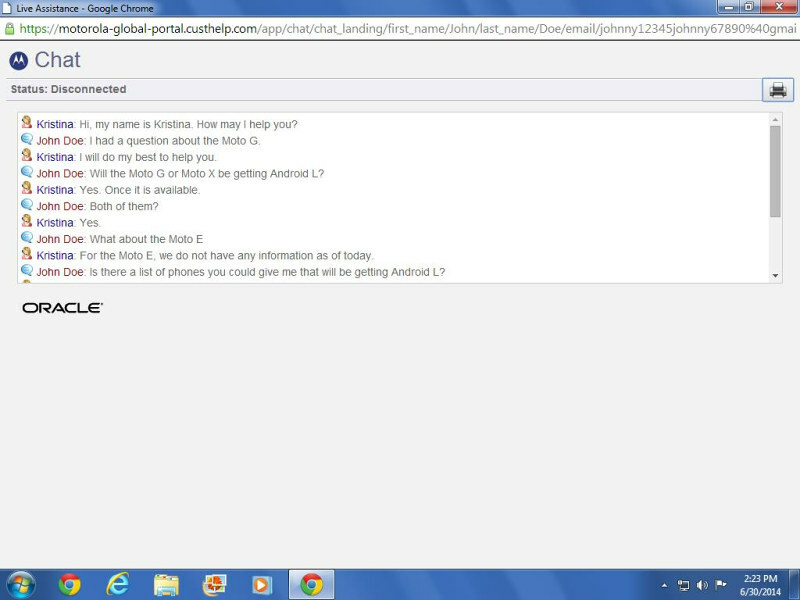 A user allegedly talked to Motorola customer support (there are screenshots below containing that conversation) and got a confirmation that both Moto X and Moto G devices will get the Android “L” update while there are no information to be found regarding Moto E at this point. 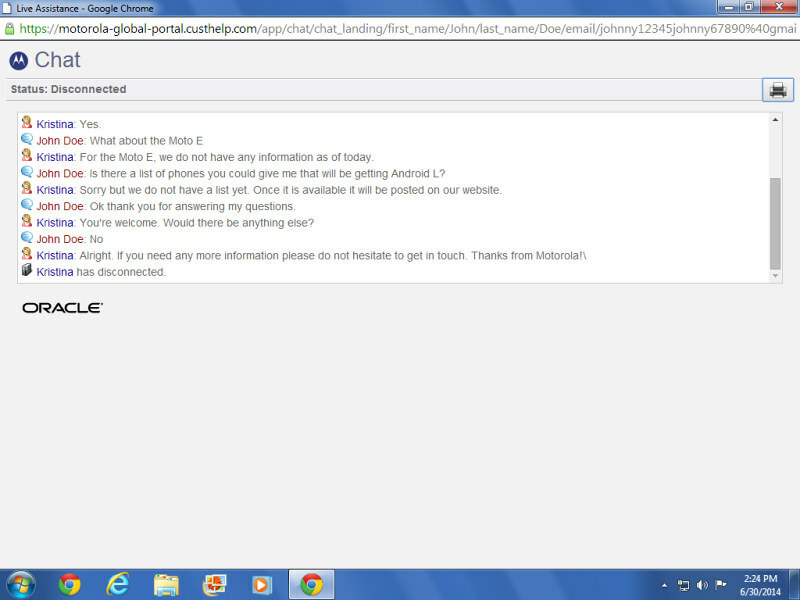 Customer support is of course not the most reliable source of information, but it’s at least something. Do you think these devices will get the update?